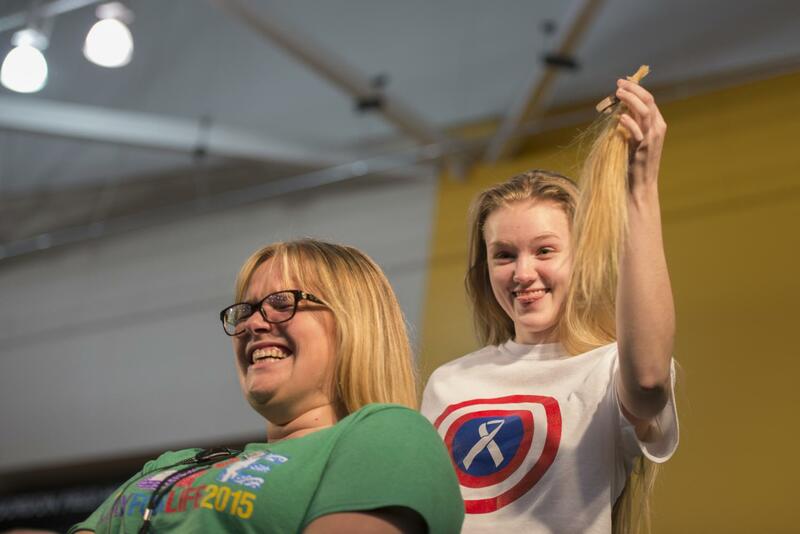 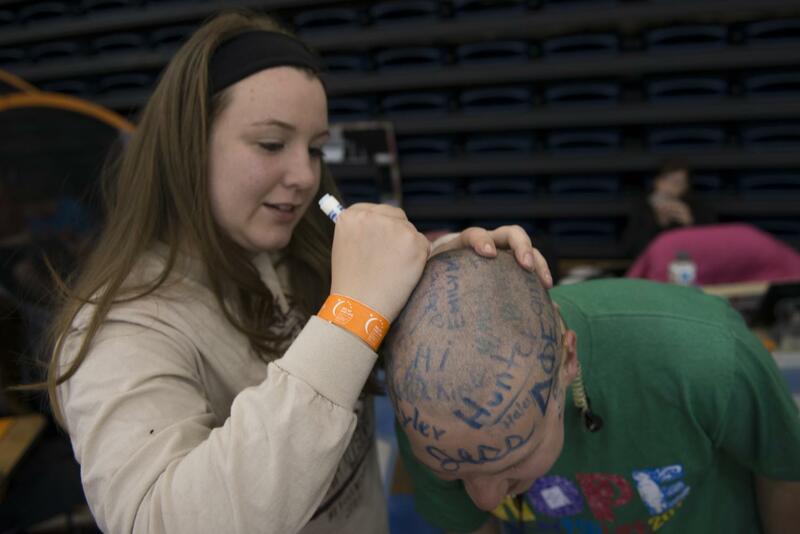 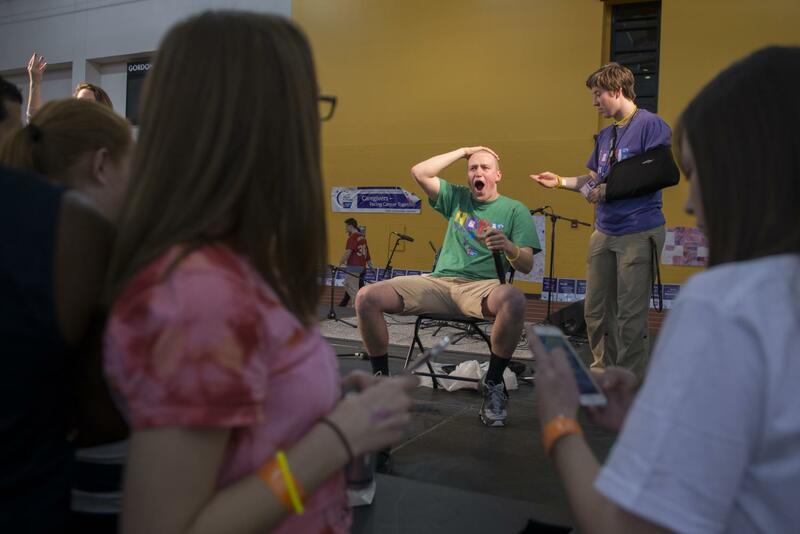 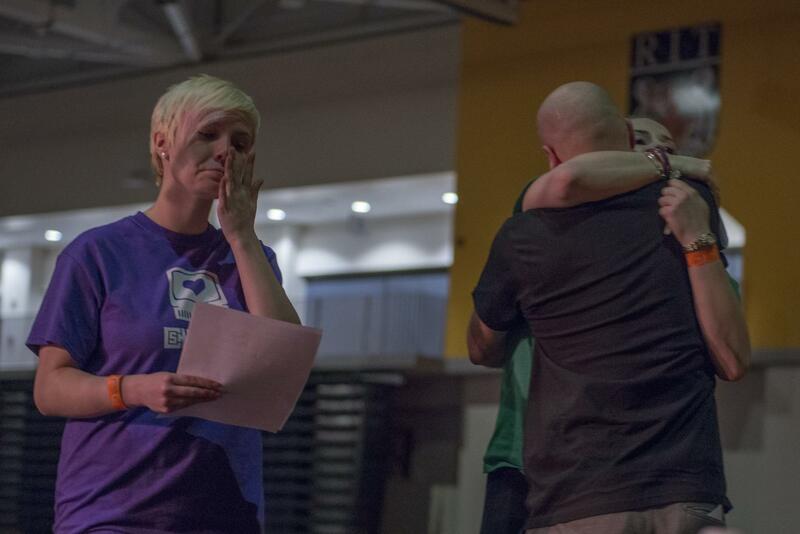 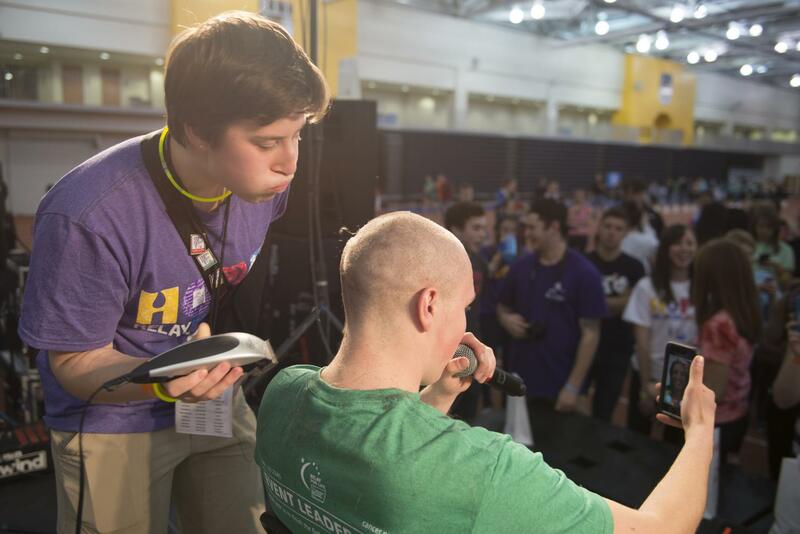 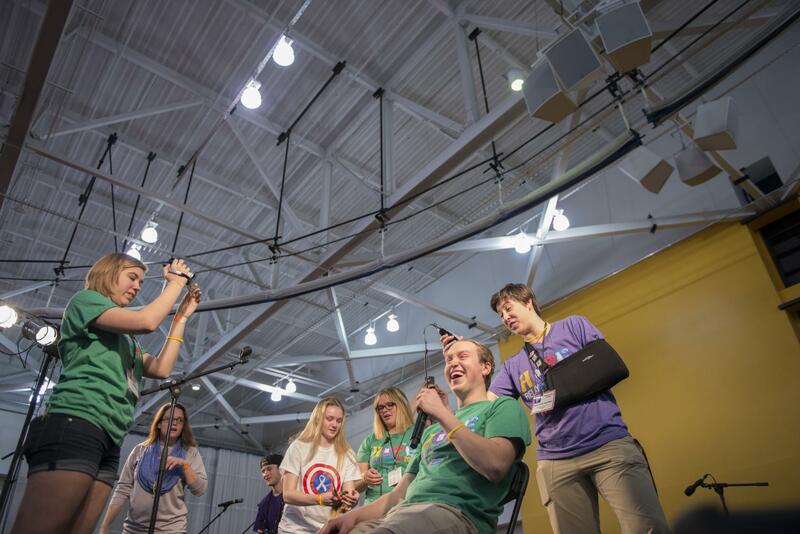 10:24 PM - RIT student and Colleges Against Cancer committee member Sharon Corcoran shaves a part of Joe Sciandra's head at the third annual Relay for Life at Rochester Institute of Technology on April 11, 2015. 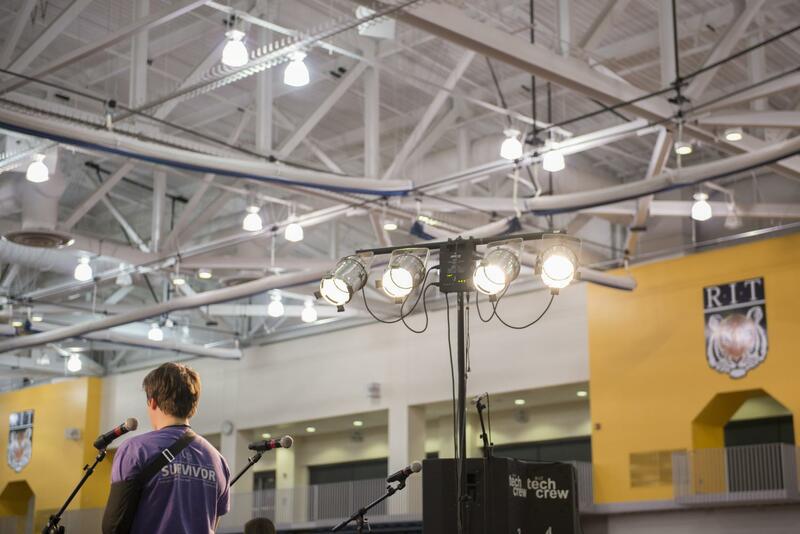 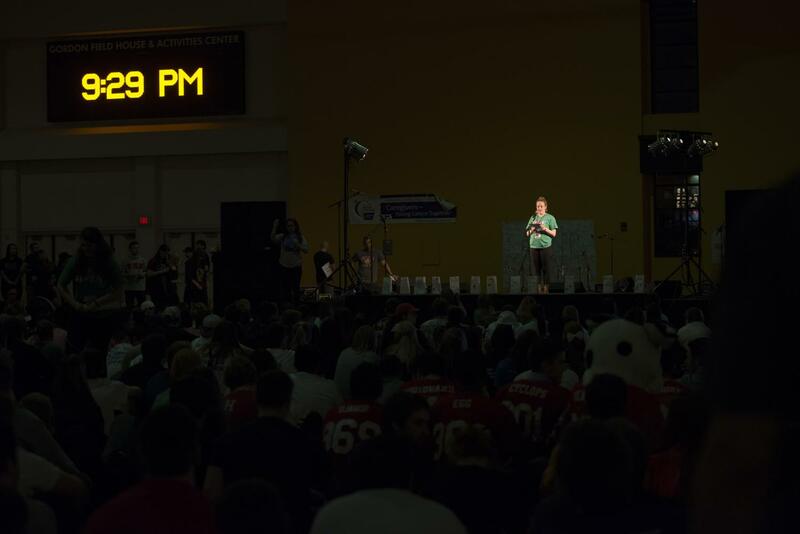 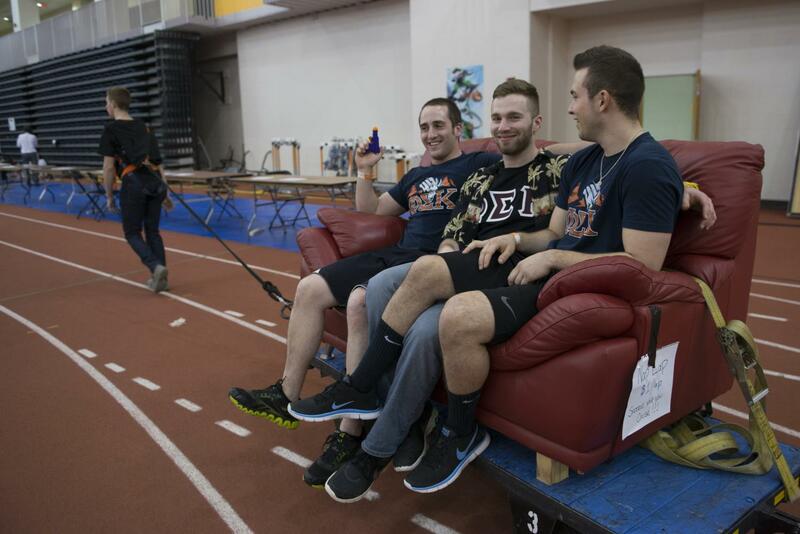 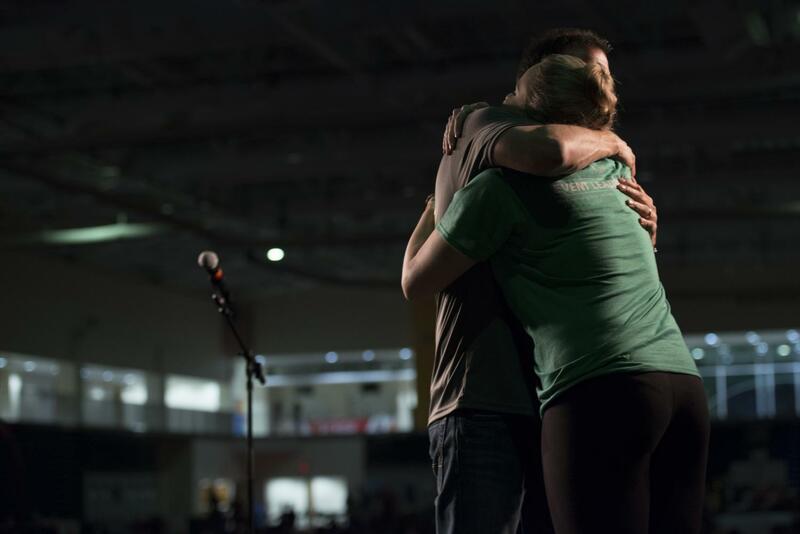 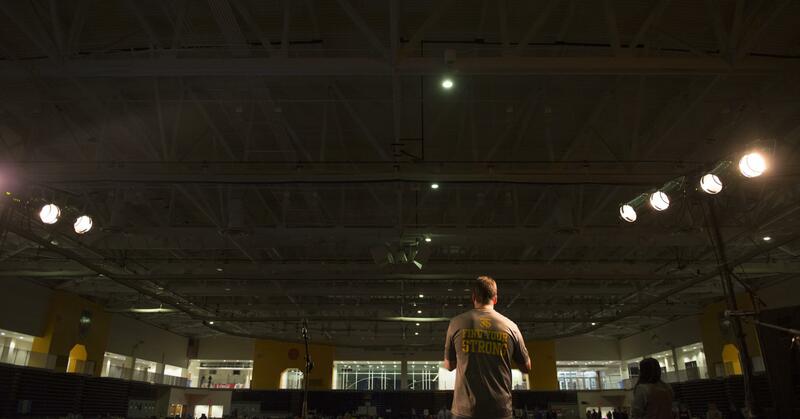 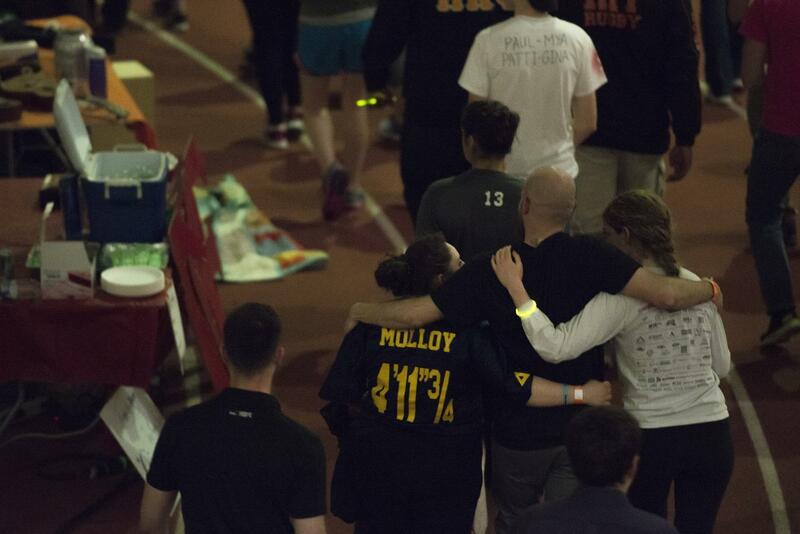 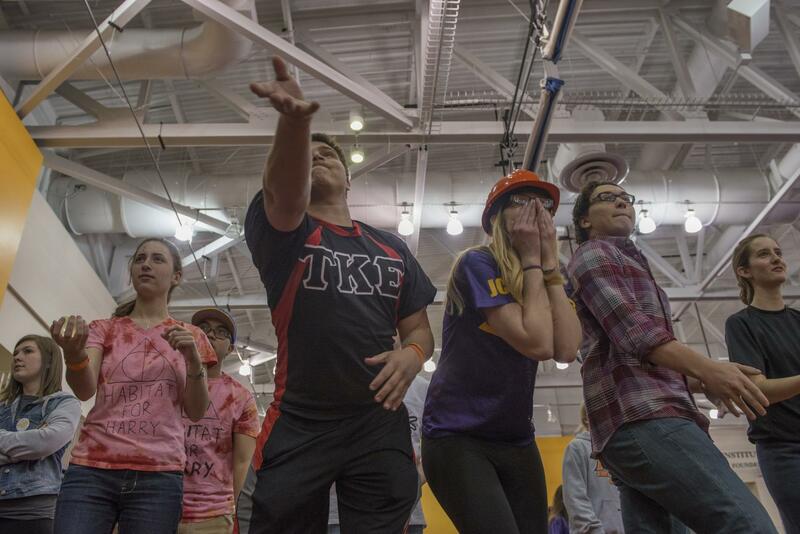 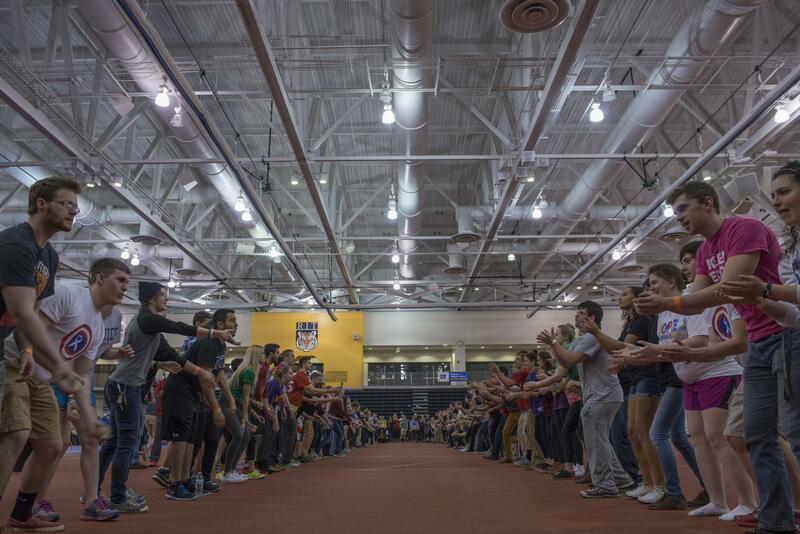 The 3rd annual Rochester Institute of Technology Relay for Life was held in the RIT Gordon Field House on April 11, 2015 in Henrietta, NY. 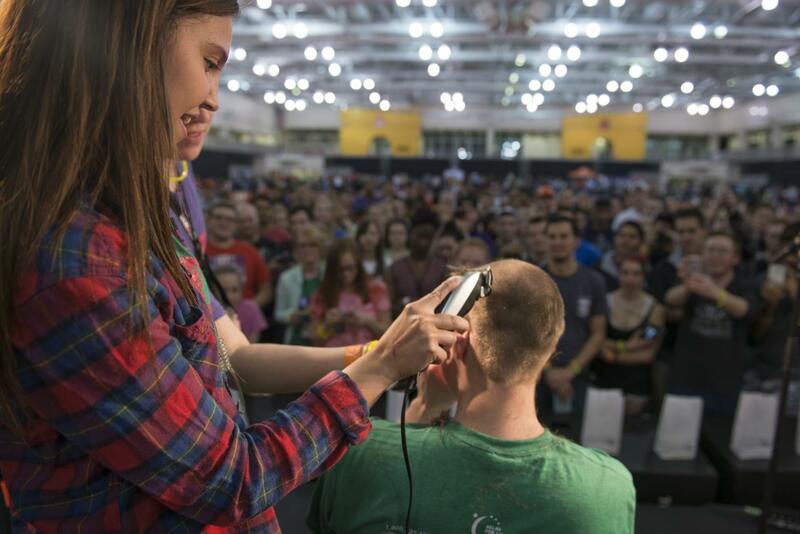 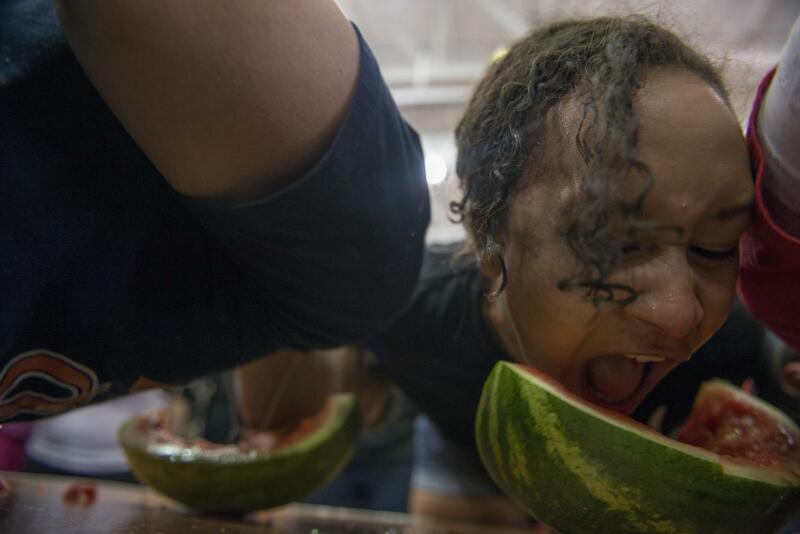 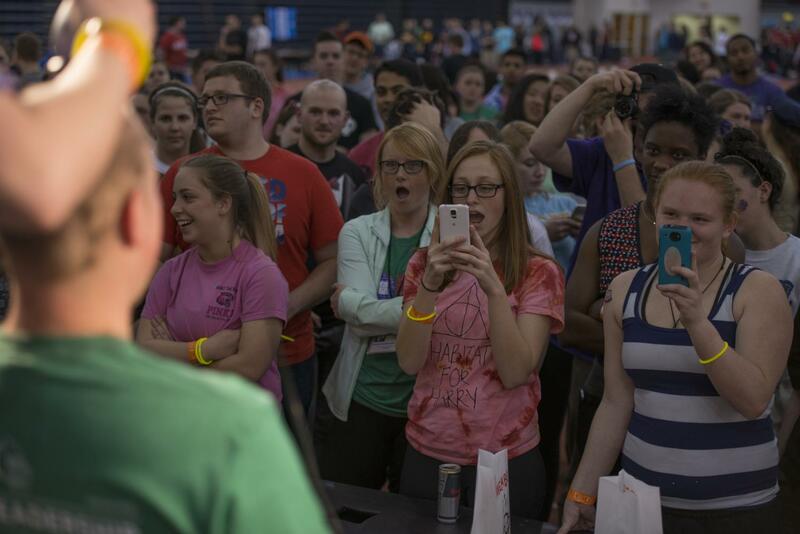 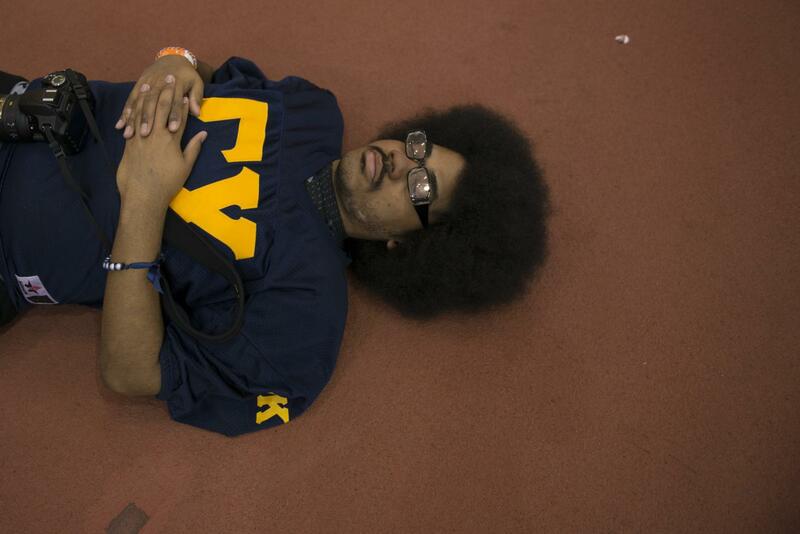 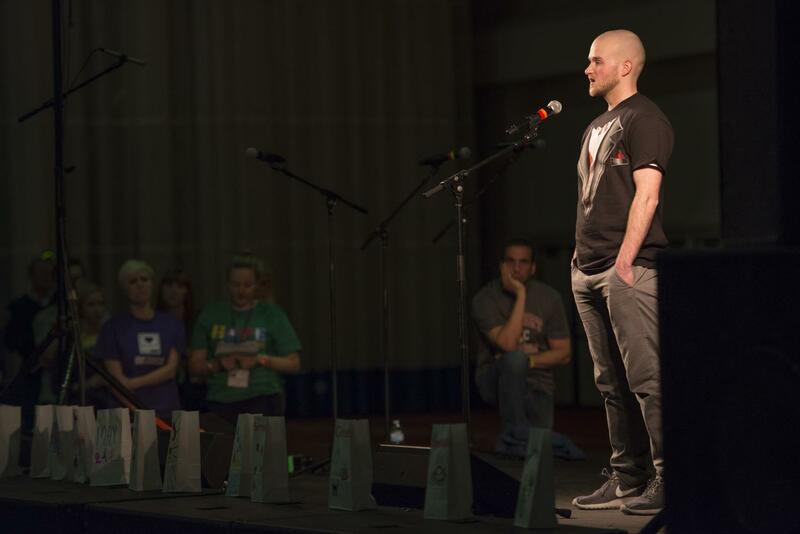 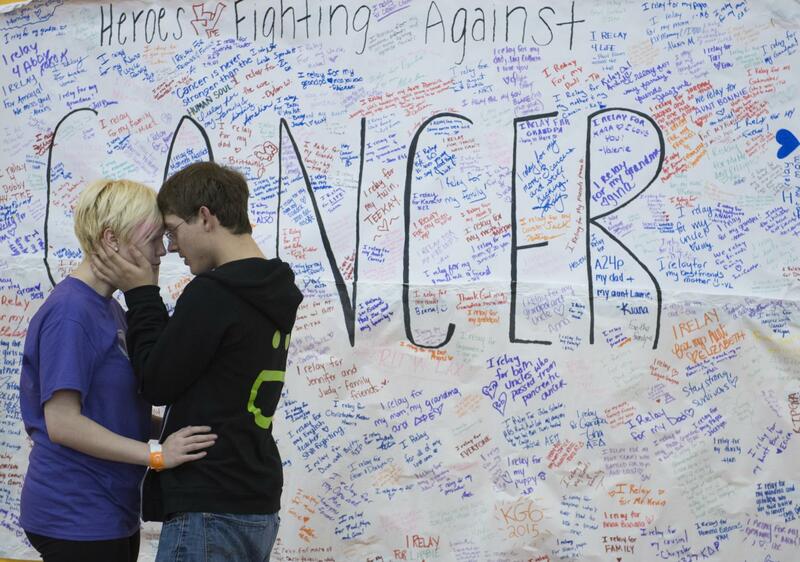 RIT raised over $70,000 for the American Cancer Society.